Throughout the year we will be running events on campus and online to help you find out more about studying at City. 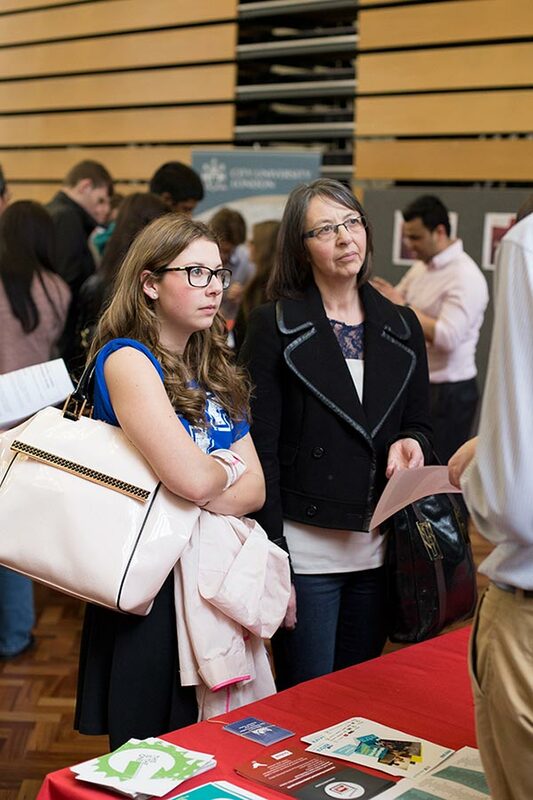 Students applying to some courses in the School of Health Sciences and Journalism may also be invited to a Selection Day. There are no further Applicant Days scheduled for 2019 entry. If you would still like to visit campus, you can book a place on our weekly campus tours. Tours run every Tuesday at 11am and every Thursday at 2pm. If you aren’t able to make it on to campus to visit us at City, we will be offering online events throughout the year to help you find out more about studying at City from our current students and academic staff. For the full list of our applicant online events, visit our online chat session page.